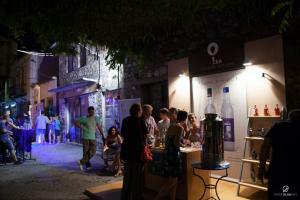 Our Distillery supported OUZO FEST once again by participating with its own stand! 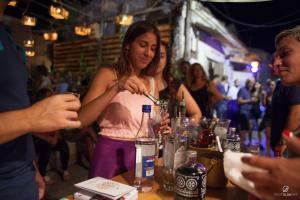 Ouzo festival was held July 14-15 in the town of Mytilini and on July 22 in Plomari. Musical and gastronomic events at the local taverns and kafeneia accompanied the festival this year, giving visitors the chance to experience the authentic culture that traditionally accompanies ouzo: good company, mezedes (Greek appetizers) and music. 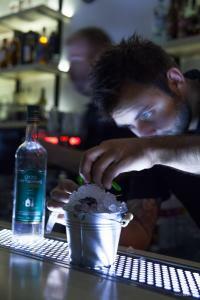 Ouzo Fest is organised annually by Lesvos Association of Distillers. It is a unique festival of ouzo tasting, where visitors have the chance to taste more than 40 ouzo labels, meet the distillers, taste the gastronomy of Lesvos, discover the secrets of ouzo and enjoy it the traditional way.